A flower that deceives and entraps! 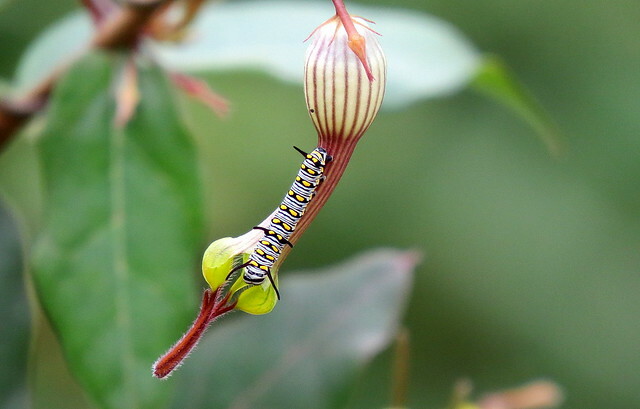 We have all heard of carnivorous plants like the Venus Flytrap, that trap and devour insects. 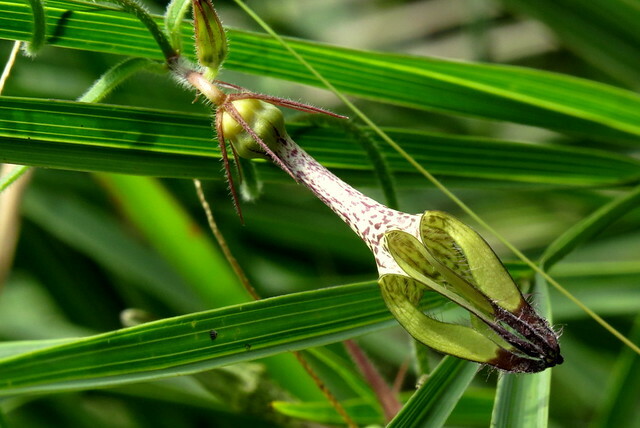 But less known is the fact that some plants of the Ceropegia species, actually deceive and entrap insects, for pollination! 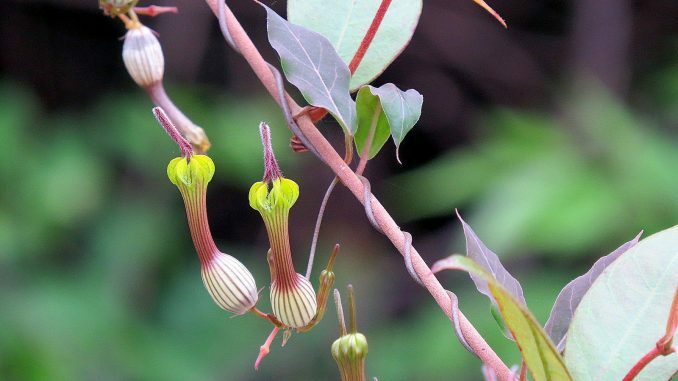 Here’s how the Ceropegia flowers work, and it’s quite complicated. Spiders and other insect predators often trap and eat honeybees, and there are some flies that love to eat these honeybees, too. The flies are able to smell the scent of the dying honeybees, and congregate to feed off the bees even as the predators are eating them. Since they are, in this sense, robbing the predators, they are called “kleptoparasites”, that is, those that live off other creatures by stealing their food. Ceropegias take advantage of this liking of the flies. They produce a fragrance that is remarkably similar to the “alarm pheromones” (the mixture of about 33 substances emitted from the glands of the bees under attack). This fools the flies into entering the flowers…and they find themselves falling into the flowers, to the pollen chamber (the pot-shaped area at the bottom of the flower). Now, the flies, notorious thieves themselves, find that they have been doubly deceived. 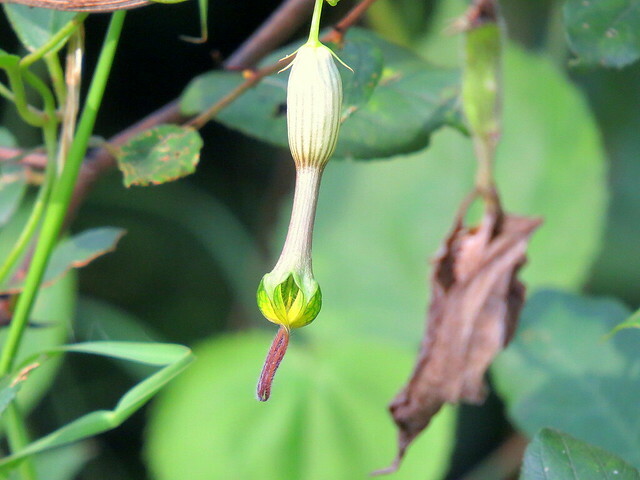 Not only are there no flies to eat, but also, there is no nectar in the pollen chamber of the flowers, to reward them. 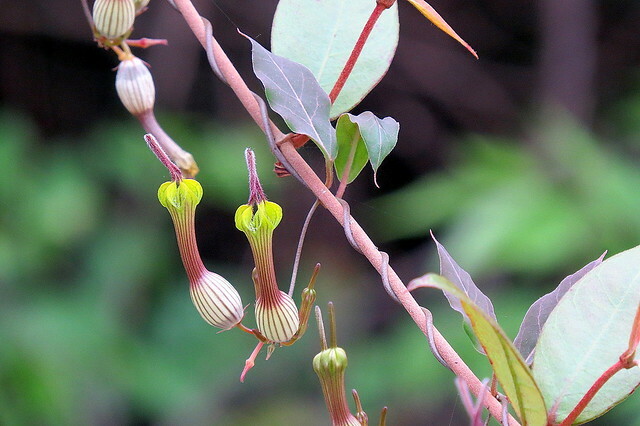 The Ceropegias are known as “deceptive flowers,” allowing themselves to be pollinated by the insects they attract without rewarding them with food. In addition to this trick, there is also the ensuing imprisonment, as the plants trap the flies in their flowers for around 24 hours. This ensures that the flies — searching for both food and a way out — do all the work when it comes to pollination. As a result of this activity combined with food deprivation, the flies are quite weak when they are finally allowed to fly away. As hungry as they are, they are magically drawn to the alluring, deceptive scent of neighbouring flowers, where they end up back at square one. The deceit of the Ceropegias was discovered by Annemarie Heiduk, a doctoral researcher in biology at the University of Bayreuth. Scientists from Bayreuth, Salzburg, Bielefeld, Darmstadt, London, and Pietermaritzburg helped her gather the evidence. The international team has now presented its research findings in the latest issue of the journal Current Biology. You can read in more detail about this fascinating process here. 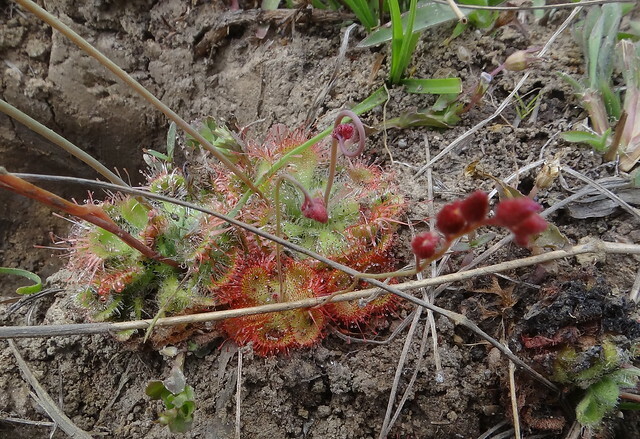 Here is a photo that I took of a true carnivorous plant, called the Sundew flower, which digests the insects caught in the sticky “dew” of its flowers. Just another example of the wonders of the world we live in!